PAUSE 7 from PAUSE on Vimeo. Follow our athlete Cedar Wright and his dog "Gus the All Terrain Pug" out for a day of winter cragging. Will Cedar Send, or will he whip HUGE!!!! Welcome to an experimental piece shot over a few days camped out at the Diamond on Longs Peak in Rocky Mountain National Park. I composed the song with this piece in mind. Big thanks to Joe Mills my climbing partner for this three days in the mountains, who is always psyched for adventure. Most of the on climb footage was shot on my Iphone 4s, and the on ground footage and timelapses were shot on a 5d mark iii. 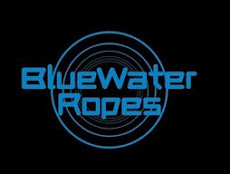 BlueWater Ropes got it's start manufacturing caving and climbing ropes, but was well ahead of the curve when 35 years ago it manufactured the first rope intended for Military, and Police and other applications where low visibility is required. Today BlueWater Ropes is the premiere rope for Tactical applications. The Military, Fire Fighters, and S.W.A.T. teams trust their lives to BlueWater ropes , which is something we are very proud of. Wow was this really almost three years ago...yes it was, but the film is finally free to the public, thanks to iclimb who is giving the film away as an HD download! Pra Caramba marks the birth of my passion for filmmaking and had it's world premiere at the Boulder Adventure Film Festival! Watch Sam Elias one of the world's best mixed climbers, ninja his way up Red Bull and Vodka an impressive Mixed climb on Vail Pass that ventures out and endless stretch of gymnastic, tiered roof madness! The climb overhangs over fifty feet in a hundred and twenty, and finishes on the Fang, one of the most iconic ice climbs in the world. Shortly after this was filmed, Sam Elias onsighted Direct King Cobra. Which at M11 is one of the hardest Mixed climbs in the world. Sam Used the 9.2mm Dominator, to keep him light and to reduce rope drag on this epic odyssey of a climb. Holy smokes we fixed eight hundred feet of rope and it it got jumared and rained on... hard, and when we pulled the ropes at the end of the adventure... they were still good as new! After managing to climb the unclimbed north Dragons's Horn, we rested for a few days and then headed up for a new route on the steeper and more impressive South Dragon's Horn. Follow Lucho and I as we establish one of the Best Climbs of Our Lives! Big Thanks to Tanoshi Lodge for feeding us and housing us during the adventure. If you find our adventure compelling or entertaining, please donate even just a dollar in the name of our climb to Big City Mountaineers, so that urban teens can get the chance the get out on their first wilderness adventures! GO TO SUMMIT FOR SOMEONE TO DONATE!!!! Special thanks to The North Face who is matching dollar for dollar the first 4000 we can raise for Big City Mountaineers, and Five Ten, Blue Water Ropes, Clif Bar, Backcountry.com, and Black Diamond for their additional support.